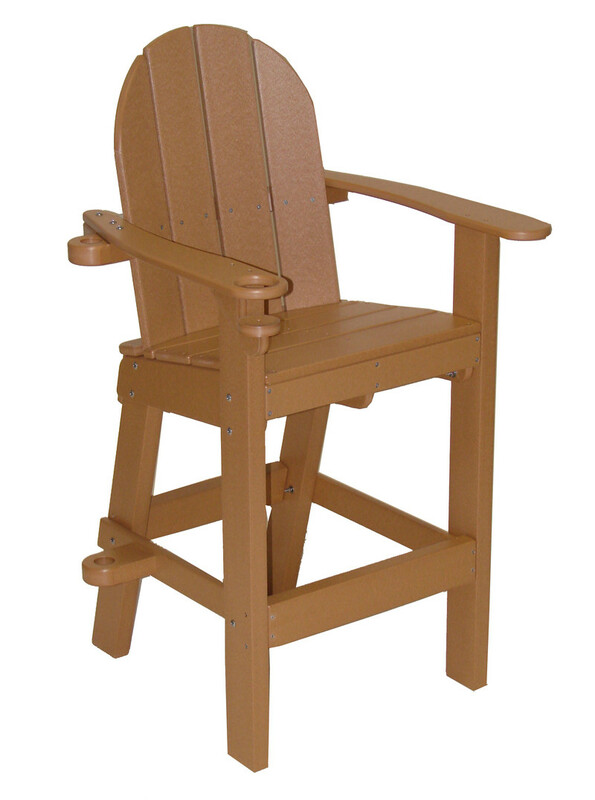 Our Recycled Plastic Lifeguard Chair-in-a-Box is made of weather resistant , low maintenance recycled plastic. 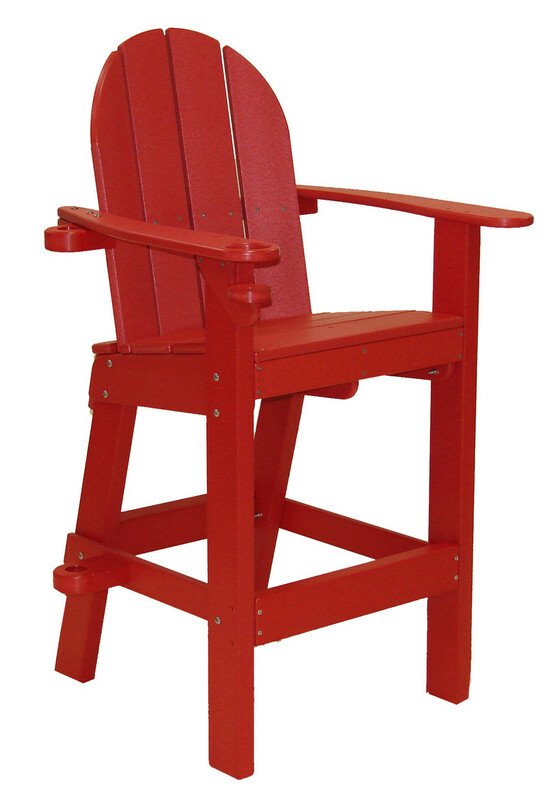 This lifeguard chair requires some assembly and unlike most lifeguard chairs can be delivered by UPS. Includes built-in drink and umbrella holders. 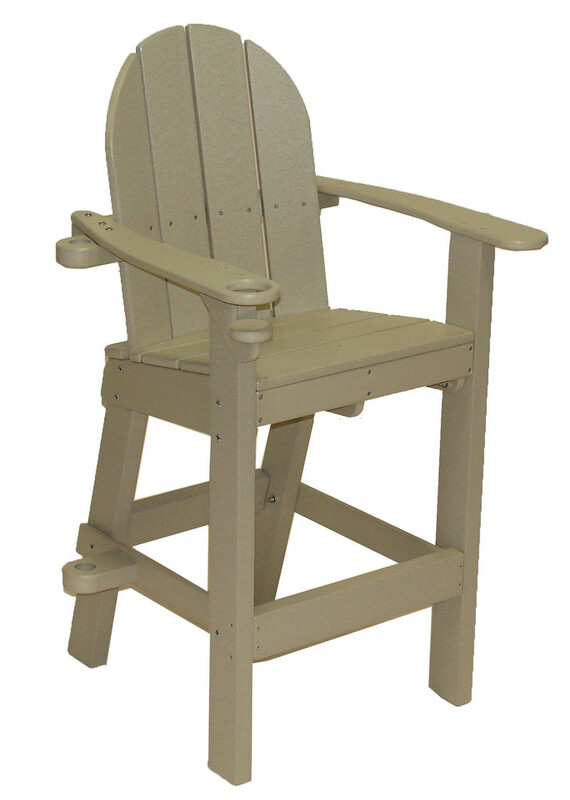 This style is compact, affordable lifeguard chair. 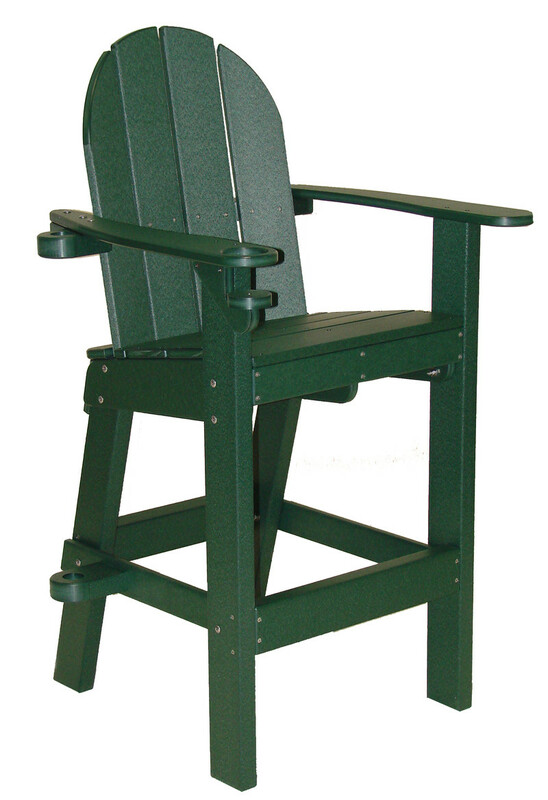 Measures: 30"L x 29"W x 51"H. Seat height 30". Weight 62 lbs.